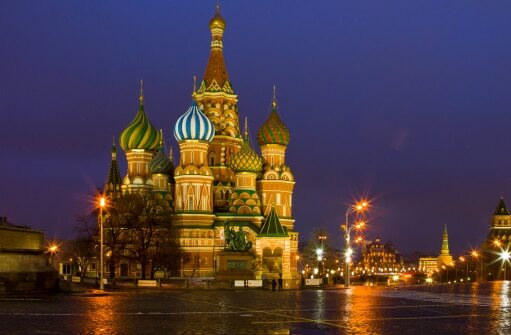 Russian is the primary language of 144 million people, making it one of the most widely spoken languages in the world. It is an official language of Russia, Kyrgyzstan, Kazakhstan and Belarus. It is also a widely spoken in Ukraine, Moldova, Latvia, Lithuania, and Estonia. Although the Russian language is the 8th most spoken language in the world, it isn’t uniformly homogeneous and it exhibits some subtle regional differences outside Moscow and Saint Petersburg. Getting the appropriate Russian translation of your documents right can be challenging. To ensure you receive an accurate translation, appropriate for your target audience, we use only experienced native translators. Native speaking, in-country Russian translators live and breathe the language they translate into to ensure that you receive the highest quality translation possible. Regardless of the size of your Russian translation project, 24 Hour Translation is waiting to serve you with an expert staff that is widely regarded as among the best in the industry. The size and experience of our Russian translation team allows us to provide experts in a wide range of fields and issues. Regardless of whether you are translating your website, product brochure, employee manual or immigration documents, in the age of globalization you need to partner with a proven translation leader with the services you need. Our Russian translation team has the technical competencies to ensure your product is a success. We can translate using CAD software, Adobe Indesign, Microsoft Publisher, Excel and PowerPoint and a multitude of other applications. In today’s global economy you should consider targeting the Russian market with your website. Our multi-lingual Russian translators can even provide basic search engine optimization to ensure you reach your markets affordably. • Russian is the most geographically widespread language of Eurasia. • As of March 2013, Russian is the second-most used language on the Internet, far behind English but ahead of German. • Russian uses a Cyrillic alphabet of 33 letters.